The Florida statute addressing the Florida Deceptive and Unfair Trade Practices Act clearly states (and I quote), “The advertised price must include all fees or charges that the customer must pay, including freight or destination charge, dealer preparation charge, and charges for undercoating or rustproofing. State and local taxes, tags, registration fees, and title fees, unless otherwise required by local law or standard, need not be disclosed in the advertisement.” I’ll translate that confusing, redundant, lengthy, outdated, and inaccurate paragraph. All vehicles advertised for retail sale must include all charges to the customer except government fees for sales tax and license and registration. Almost no car dealership in Florida complies with this law. Some ignore it entirely, some disclose in the fine print only one, not all, of their non-government fees. Some state that there are fees added to the advertised price but don’t state the amount, some state the amount of one of their hidden fees in the fine print, but don’t INCLUDE it in the price. Florida law does not regulate the amount of the dealer fee, allowing dealers to charge different amounts ranging from a few hundred to a few thousand dollars. Florida law does not limit the number of dealer fees a dealer may charge. Rather than having one huge fee, most dealers today have several large fees by different names. 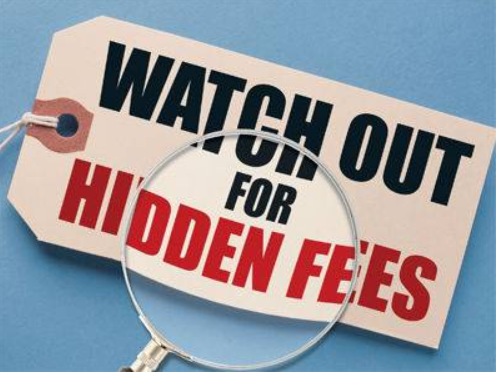 These hidden fees are often not revealed in the paperwork seen by the customer when the vehicle sale is consummated. Dealers often use documents labeled “worksheets” or “Internal documents” with fine print indicating that it is not a legal document of the sale. 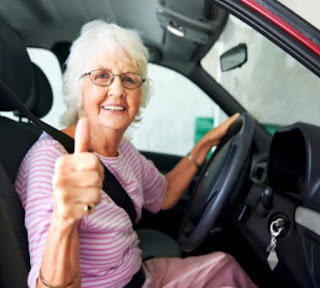 The official document, vehicle buyer’s order, is printed out in the Finance office along with “reems” of other documents like the installment sale or lease contract, odometer form, power of attorney, extended warranty, maintenance contract, GAP insurance, etc. No customer has the time or inclination to read all the fine print on all the documents. A high percentage of Florida car buyers are unaware they were charged these hidden fees. This statute states, (and I quote) A dealer shall not “charge a customer for any predelivery service required by the manufacturer, distributor, or importer for which the dealer is reimbursed by the manufacturer, distributor, or importer.” Also, the Florida statute states (and I quote) “Must not charge a customer for any predelivery service without having printed on all documents that include a line item for predelivery service the following disclosure: This charge represents costs and profit to the dealer for items such as inspecting, cleaning, and adjusting vehicles, and preparing documents related to the sale.” The language of the Florida statute is confusing and contradictory. First it says dealers can’t charge for predelivery service if they’re reimbursed (plus paid a profit) by the manufacturer for this. Then, in the same paragraph, the statute requires that the dealer disclose their fee represents costs and profits for inspecting, cleaning and adjusting vehicles. All new car dealers are reimbursed for their costs and a dealer profit by their manufacturer for all predelivery service to the new car. 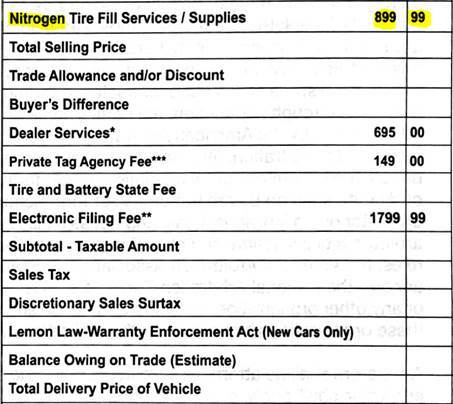 Finally, almost no car dealers disclose in an addendum alongside the federally mandated Monroney Label (MSRP) their additional fees. This law which became effective in 1958 was to give car buyers a consistent basis for comparison of prices for the same year-make-model-accessorized car between different car dealers. Before the Monroney Label, all car dealers would price their cars differently. 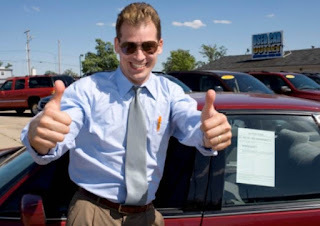 The higher they priced their cars, the higher they could advertise their discounts or offer in trade-in allowance. With the Monroney label MSRP, car buyers were supposed to be able to fairly compare discounts and trade-in allowances. 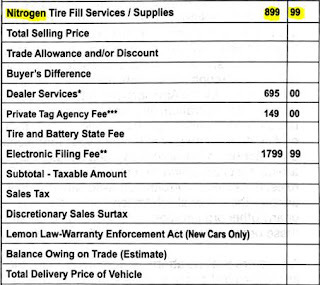 The hidden fees from several hundred to several thousand dollars make this impossible and violate the spirit and intent of the federal Monroney MSRP sticker. Leasing a new vehicle is very different from renting. When you sign a 36-month or 48-month lease, you obligate yourself for 36 or 48 monthly payments, even if you can no longer drive. You’re also responsible for maintaining insurance on the leased vehicle, even if it’s not being driven. You may become incapacitated or your driver’s license can be revoked. If you die, your estate is obligated for the remaining payments. It’s possible to have your lease assigned to another person, but this must be approved by the leasing company. There are companies that, for a fee, specialize in finding people to assume lease payments, but these people have to have the approval of the leasing company. You may have noticed that most new car advertising is for leasing, not buying. This is because car dealers average a much higher profit from a leased car than a purchased car. Also, the car dealer has a much better chance of keeping you as a customer if you lease. You must return the car to the dealer at the end of the lease. The car dealer and leasing company (usually the manufacturer) have monthly contact with you, because your making lease payments. Leasing companies penalize you with a “lease disposition fee” if you opt not to buy or lease another car of that make. For all the above reasons, the car dealers and manufacturers will encourage you to lease rather than buy. Be forewarned that unscrupulous salesmen will give you bad advice to persuade you to change your mind about buying and leasing instead. They earn much higher commissions on leases, and they’re more likely to lease or sell you another car. The expression used by car salesmen when they attempt to do this is called the “Lease Flip”. The sales manager will instruct his salesman who is having difficulty making a big profit on a car purchase to “Flip her to a lease”. The salesman will try to focus your attention on the lower monthly payment of a lease and not mention the fact that you are building no equity when you lease like you do when you purchase. He won’t mention the higher cost of insurance, excess mileage charge, lease inception fee, lease disposition fee, or the charge at the end of the lease for excessive wear and tear. Some sales people will imply, or say, that you can return a lease early without any penalty. Too often your trade-in is undervalued or not valued at all on the lease contract. Lease contracts are very complicated compared to purchase contracts. There’s lots of fine print and variables that affect the total cost. The main numbers you have be aware of are the lease factor (interest rate), residual value (estimated value at the end of the lease) and the capitalized cost. The capitalized cost should reflect the fair credit for your trade-in and should represent the discounted price if you were buying the car. With all that said, a lease can be just as good a value as a purchase, but leases are far more complicated. This gives the car dealer, manufacturer, and car salesman more of an upper hand. There’s an old joke that goes like this…” If you sit down at a poker table, look at all the other players, and can’t figure out who the sucker is…it’s probably you. Always be extra careful when you’re playing somebody else’s game.